When it comes to your special event, the last thing you want to deal with is traffic, parking, and all the frustrations that come with driving in New Jersey or the New York City area. It’s your big day – why spend it stressed out when you could arrive on time and in style in a stretch limo complete with your very own personal chauffeur? At Hamilton’s Limo and Car Service we strive to provide our clients with a safe, comfortable, stress-free ride to and from their destination, wherever that may be in New Jersey or New York; and we do so with all the comforts and luxury our clients expect when they make a reservation with us for professional limo services in NYC and New Jersey. Renting a stretch limousine is a great experience, whether you’re looking for transportation to/from an event or a want to really add a touch of luxury to a special occasion. 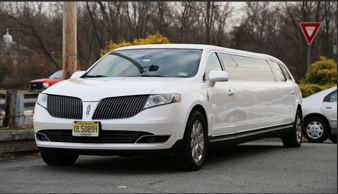 Make your outing unforgettable by reserving one of our stretch limousines in NJ or NYC today. From our classic Lincoln MKT limos to our stylish Lincoln Navigator limos, you’ll love the luxury and comfort of riding in a stretch limousine from Hamilton’s Limo and Car Service. You’ll also love our no-surprise, flat rate pricing. Not to mention the fact that our New Jersey car company employees chauffeurs, not drivers. You’ll experience the epitome of first class service and luxury at its finest when you hire one of our professionals for limo service in NJ or NYC. Leave the driving to us, so you can focus all of your attention on your special occasion! Call Hamilton’s Limo and Car Service today to schedule a limo reservation. 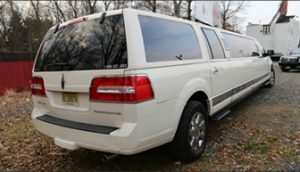 Our stretch limousines available for events throughout New Jersey and the New York City area offer high end luxury as well as a variety of interior features. Spacious seating and privacy partitions are a given, but what you may not expect are the elegant finishes, ambient lighting, and top-shelf audio/video systems. Lincoln is a brand synonymous with American prestige and luxury, so you can bet our Lincoln MKT and Navigator stretch limousines have it all. From plush leather seats to modern conveniences, you’ll love riding in our stretch limos in NJ and NYC. 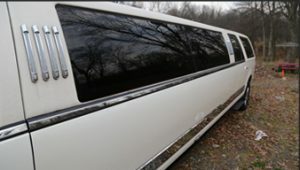 Our strech limos easily fit up to 8 passengers and are fully equipped to meet your transportation needs. 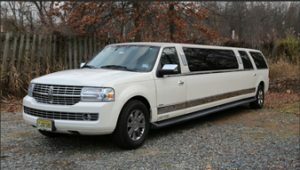 If you are looking to rent a stretch limousine in NJ or NYC, call Hamilton’s Limo and Car Service at 862-520-7433 or complete our online request form.